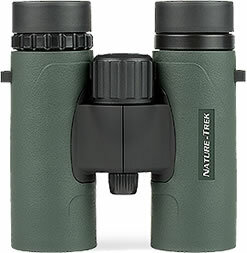 The New Nature-trek binoculars come complete in a shock resistant polycarbonate body, providing a robust yet lightweight casing. All models are nitrogen purged to avoid fogging and they are sealed to be fully waterproof. the inner-focus optical design produces stunning optics. the high resolution image ensures no details are lost when viewing at long or short distance. With a close focus distance of 2m - 2.5m. the effortless focusing and impressive depth of field makes these binoculars quick and easy to use. twist-up eye cups make viewing easy with spectacles or sunglasses. Dioptre adjustment is smooth to operate making set-up easy. 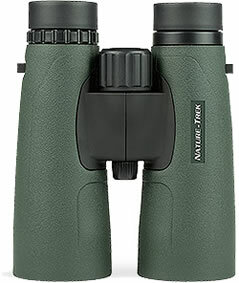 All Nature-trektm binoculars are supplied with protective lens cover and carry case.